The concept of consumer’s surplus does emphasize the amenities that we enjoy in a modern society. Much of the consumer’s surplus, we enjoy depends on our surroundings and the opportunities of consumption available to us, example, amenities of life in America as compared to Central Africa. It thus clarifies conjectural importance. The concept enables us to compare the advantages of environment and opportunities or conjectural benefits. The larger the consumer’s surplus, the better off is the people. The concept, thus, serves as an index of economic betterment. It is useful in price policy of a monopoly firm. The monopolist can put a higher price on the goods if consumer’s surplus is high, without causing any reduction in sales. It is of significance to the exchequer in determining indirect taxation. The finance minister can easily levy more taxes where consumer’s surplus is high. 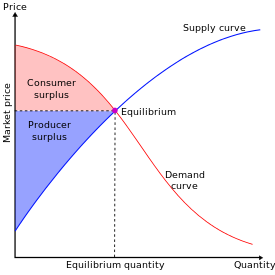 By estimating the difference in consumer’s surplus resulting from a change in price, we can know and compare the effects of a given change in the price of any commodity on the different classes of people. It is, therefore, widely adopted in welfare economics. Gains from international trade can be measured in terms of consumer’s surplus obtained in the imported goods.